Welcome everyone to Chief Magazine. We recently interviewed the CEO and Founder of Godayuse, Mr. Shadi Kamal Kandil. We recently got introduced in LinkedIn and I would like to thank him for his interest to answer our questions and mostly in a very precise manner. 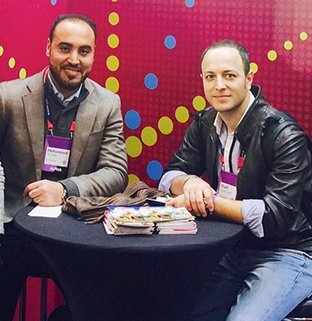 After graduating from Cairo University in 2008, Mr. Shadi started his career as a Web Developer. Through a series of learning from his roles of Webmaster at ASUS, Social Media and Digital Marketing Manager at Awakening Records and leading digital business development – Shadi was building the foundation for his dream project. His startup, Godayuse (www.godayuse.com) is the world’s first day-use portal specializing in day activities and hangouts that unravel your city’s best attractions without having to travel or just spending few hours watching a movie or walking in a mall. If you are an aspiring entrepreneur and looking out ways to grow, this interview is for you. The interview not only tells you the struggles of an entrepreneur but also the taste of success when your efforts get materialized. Shadi is in his initial days and he believes there is a long way to go to achieve many things. Read on about him and his startup, mostly how he kept himself committed to his idea. Question from Chief: I know you must have heard this question a lot many times and may hear even many more times – but I wish it never gets old for you. Now – how the idea of Godayuse came into your mind? Please include if any personal experiences where you saw the need for a platform like Godayuse. It was by chance. One day I wanted to go out with my family and started to search for nearby attractions on many famous websites & apps, even Facebook pages and Google search. But many were focusing more on travelers and I was not able to find exact prices and the service I will enjoy. Whether this place allow me to enter with my 5 months baby or not. So I decided to work or portal to help local citizens to find & enjoy nearby attractions and get all details before they go to never be surprised. Question from Chief: How were the initial days of Godayuse and what changes you see now? It is not about the first days, it is about a whole first year. I always thought that moving with startup is something easy till I started building my own startup. There are so many complications and challenges, so many things to give up and dreams to seek. The initial days were confusing without clear plan. But now as you can see we have a running website with good organic traffic. We have a plan to expand and to move forward following our dream and my dream is to reach the whole world in few years with Godayuse. Question from Chief: One of the critical aspect of every startup is its leadership team. Would like to know a little brief of Godayuse’s leadership team. On top of that – how challenging it is to create the next-line of leadership belt. It is yes, quite challenging to have a quality passionate team to support and help you reach your dream. I’ve my co-founder and now team including 7 freelancers, since we can’t hire full time now. For more about me and my co-founder please check Godayuse Founders . It is equally challenging to find your co-founder and leadership team, yet it is the most important thing. It is the hardest thing to find even more than money because you seek the people you need to share with you the same dream and help you to reach it. This is not easy! Question from Chief: Godayuse is 2 years age now. What is the vision & mission you have for Godayuse, from 5 years down-the-line? How the mission and vision has evolved in the last two years? The reason to ask this question is – due to different aspects such as customer experiences, investor preferences, network balance and to achieve success – the mission and vision are tend to change. Did you feel anytime that, this is not why I have created Godayuse? Yes, the idea was started 2 years ago. I spent 6 months shaping the business and more than a year building our website. We know it is too much, but I wanted to offer something different & unique that can really help people and add new value. My mission is to help all people around world who cannot travel and gave up the routine places. We help them to find new places and activities to help them break the routine we all face and refresh them go back to fight the life around them. My vision is to cover the Middle East and the GCC in the next 2 years. Then I will move to serve around the world and godayuse.com is just at the start now. We will expand with more new services to help people in advanced way, but we are moving step by step now. We face challenges every day where new things appears and we receive offers to cooperate but with changes. But I keep my ocus on the main thing always, which is helping every city citizen to find nearby good attractions and we use everything we face daily to serve this goal. I will not stop before serving globally, but as you know with startups things do not move that easy. So we need to take it step by step. Question from Chief: Which route are you preferring to grow – funding or build organically? What are the upsides and downsides you see in both the cases? We are moving organically to not wait but sure we prefer funding to help us grow fast and develop our new ideas. Especially we are building community and we want to serve in more cities and we need to market our portal to reach more people. So, yes we need fund to help us reach this goal and offer the services we are dreaming of offering in near future. For self-funding and bootstrapping, the good side is we run everything according to what we see and our own vision. But the weakness will be always the slow growth since we move without big marketing push and the funding will surely serve this goal, even though it will surely include some restrictions on us and add some pressure. Question from Chief: You have graduated in 2008 from Cairo University. Then through a long journey from a Web Developer to starting your own company – how is your story so far and if you would like to change anything in these 9 years, what that would be? Since graduation my dream was to join big global company and I’ve worked on that. But with time I’ve discovered that I want to build something for myself but I wasn’t ready at all. When I started my career, I was just a web developer. So I started to take it step by step to learn and prepare myself, from being technical as web developer and UI designer then webmaster I learned so many technicalities of web. Then I decided to take my first shift for the marketing line, where I worked in social media and then digital marketing, SEO, SEM, email marketing and online ads. After 3 years I made my third move and started working in branding new products & developing new business opportunities for the company I was working with. This gave me exposure to ensure how to market and build potential of the product I dreamt about. With good experiences and knowledge, I knew the time has come to start something of my own. Now if I want to change anything during this whole journey so far, it will be starting my own project much earlier. I’m more ready now for sure but I believe I have wasted few years preparing myself more than taking the full risk from start. We live to learn and now I know lot more than before and with time we discover our passion and what we want to do for our future not from day one in our career path. Question from Chief: You yourself possess good skills in digital branding and has good experience as a brand manager. In the initial days, some startups spend a lot on marketing & advertising, while many focus on to acquire customers. What is the best approach as per you and why? Well I decided to do three things at the same moment to divide the risk and increase our chances of success. I decided to work on marketing my website and improving the SEO, social media and create some ads. So it will be easy for me to acquire new customers. At the same moment I wanted to acquire customers with different packages in order to make it easy to gain new deals and use this to serve our marketing. Seeking PR and competitions to use the exposure they will create to reflect in business deals and generate some good organic hype. I still believe that focusing on one thing will make the optimal impact but I also believe in different strategy, “the strategy of dividing the risk, the efforts and guarantee some success” from different aspects so you can reach some different milestone at the same time. Question from Chief: You have recently posted on LinkedIn about the WannaCry Cyber-attack? Cyber-attacks are becoming common these days and security is a huge concern for companies with valuable confidential information being available in public. What is your view on this and how you ensure that your customer data and transactions are safe. From day one while we were building our portal we believed that respecting our user will help us to be better. So we’ve developed our portal to never show or share passwords with us and we use hash to protect users passwords even from us. We are using Amazon AWS servers (read the Technopedia definition to know more about Amazon AWS) and moved with SSL to show our visitors and potential clients that we totally care about protecting them and the data they share with us. All of this was too expensive during development phase but as I’ve mentioned we wanted to respect our clients and their privacy by providing security as much as we can. Question from Chief: Staying organized makes your life simpler. How do you keep yourself organized? Any tools you want to refer to our readers? It is too hard to move with a startup if you still work as a part-time employee in a big company and if you still manage several teams in different countries. On top of that, with the family responsibilities and being a father for 2 kids. So for me and for any one in my same situation, the multitasking is never a leisure. We should learn to work in several things at the same moment and to divide our mind between many subjects keeping out priorities intact. And for me, I have made my mobile as my own secretary as the problem solver. I can never handle my meetings without using calendar app and I also use a to-do app to help me remember my priorities. I use apps to remind me to drink water, run, stand up for 1 min and rest my eyes, mediate for few mins per day to do this as much as I can even once weekly. I’m also using the provided apps for all services I’m using in Facebook, Google, Google ads, analytics, LinkedIn, email, news, banks, etc. I usually follow this during my free time or on my way home so I do not always need to open my laptop and depend totally on it. Question from Chief: We wish great success to you with Godayuse. If you are planning to start a new business, what it would be? Godayuse.com is just the start for me as I want to offer more beyond that a website and mobile app. Certainly I have more plans and ideas with different business ideas, but I will only embed it all to serve the same concept. For now I prefer it all to come through Godayuse till I make sure the portal have reached what It deserve to be known. Go.dayuse, Inc. will release more products than Godayuse website/app in the next few years! The idea is the only easy stage, building is hard especially if you still need to validate your market. Certainly surviving is the hardest thing, so always you need to know your passion and your reasons to do this. It will be quite easy to give up in one second as you sacrifice a lot of dreams, money and dedicated a lot of your time towards your startup. So you must have always a reason, why you want to do this? For money? No you will not gain money easily. For being a founder and manager thinking you might work much and only instruct? No, you will work so hard and have to do many things with your own hands. Find the real reason, why? Why is the main thing that will keep you able to fight and the reason to survive. Believing in what you are doing and believing is the value you can add to this world will always motivate you. As entrepreneur as I’ve mentioned you will give up so many things, but one success moment will be always more beautiful and will make you forget all that difficulty you’ve faced. Remember the success will never be the final destination, it will be in the journey itself. You will never be the same and will always learn something new and you will always be a winner even if you have failed. At least you tried your best once and you will not die while you are saying “what if I did that” you will be proud always. We hope you enjoyed reading the post. Here is the link to LinkedIn profile of Mr. Shadi Kamal Kandil https://eg.linkedin.com/in/shadikkandil . For more such posts and inspiring interviews from past, current and future leaders – please subscribe to Chief Magazine and we will send you stories and updates in emails.